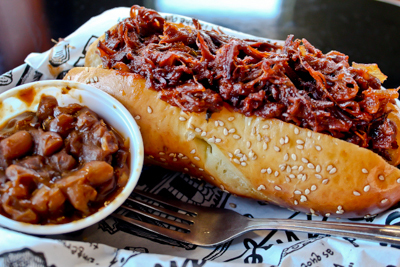 Hand-pulled beef brisket simmered in Zingerman's own BBQ sauce on a soft bun, served with a side of applewood-smoked baked beans. As Seen on TV! "It's an 11 on a scale of 1-5," according to Oprah Winfrey. 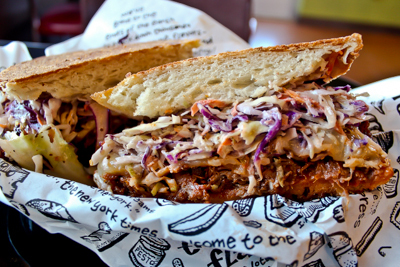 Hand-pulled, BBQ-sauced beef brisket topped with coleslaw and provolone cheese, served on a grilled paesano roll. Yee-haw! Dave's favorite! 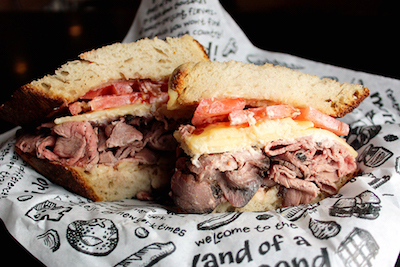 Roast beef, melted Vermont cheddar, fresh horseradish, mayo & tomato on sourdough. 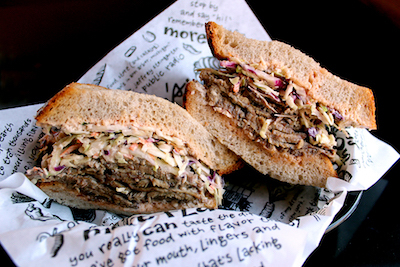 Beef brisket served warm with Russian dressing, coleslaw & fresh horseradish on Jewish rye bread. 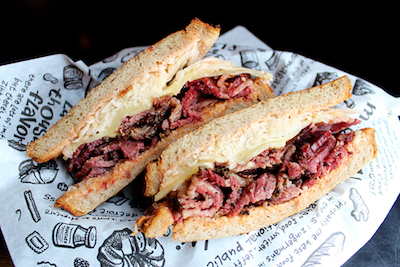 Wagshal's smoked brisket, Swiss Emmental cheese, Brinery sauerkraut & Russian dressing on grilled rye bread. 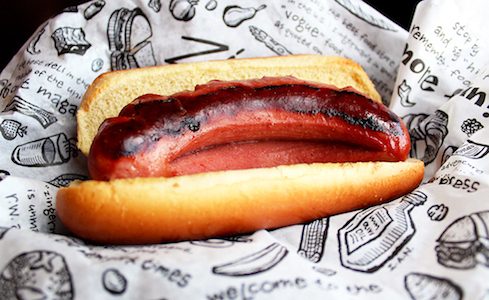 Simple all-beef hot dog from United Meat & Deli! 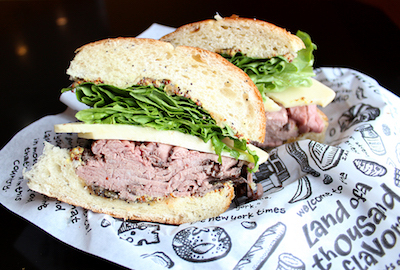 Really meaty, really flavorful. 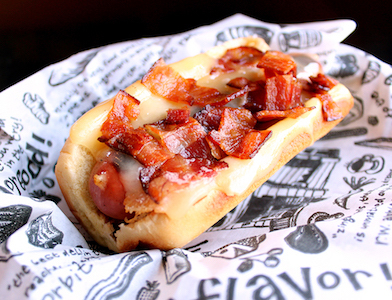 All-beef hot dog with applewood-smoked bacon, melted cheddar & our housemade ketchup. Brought to us by the Fuchs Family from Washington, D.C. Their prime beef is dry-aged for over a month, marinated for even longer and smoked for 12 hours to preserve its complex flavors. The result is the most succulent Montréal-style smoked beef brisket we’ve ever tasted! Also, you’ve gotta taste their award-winning, melt-in-your-mouth, hickory smoked Ibérico bacon. The only bacon of its kind in the U.S.!